Not long after my initial experience with Giordano's Pizza, I ended up eating at one of their other touristy locations with some visiting relatives. 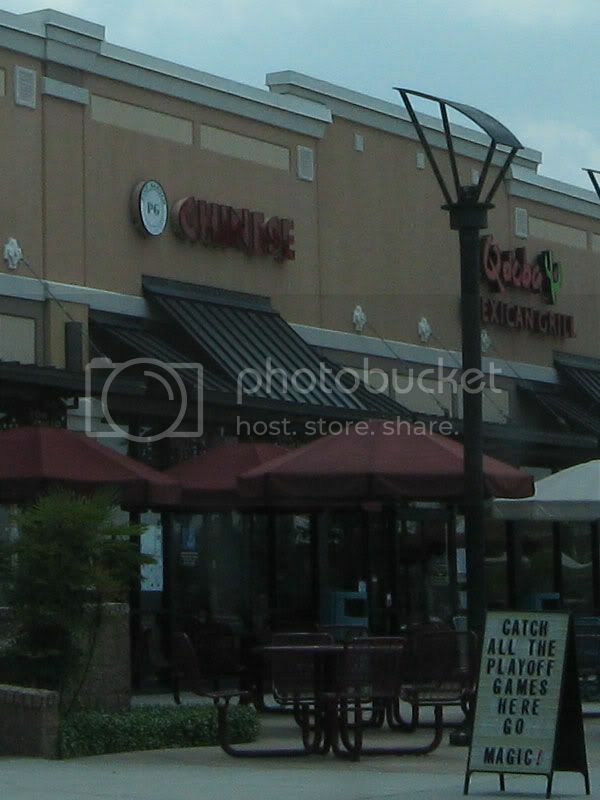 This Giordano's is in a Chinese themed strip mall on 192 in Kissimmee. The mall is near the former site of Splendid China, and although the park has sat abandoned for years, the mall still looks very pagoda-like. 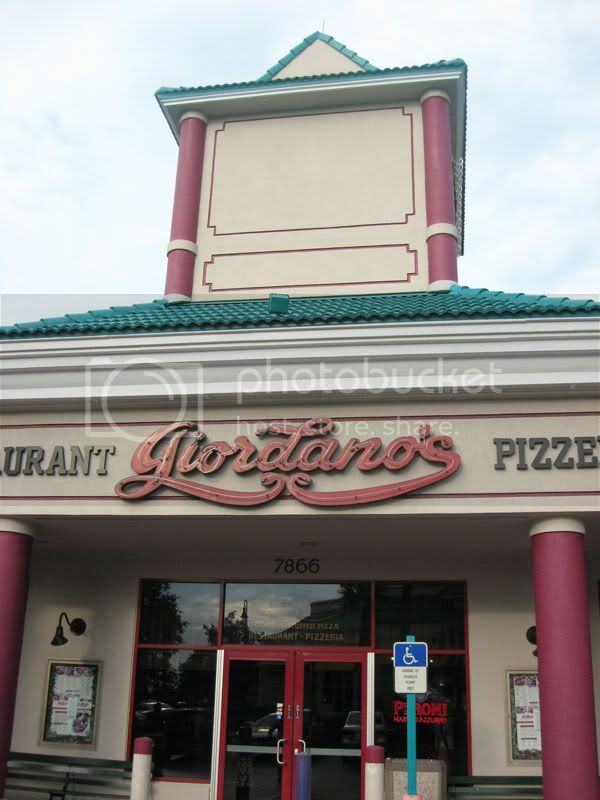 From the outside, it felt like Giordano's should have been a Chinese restaurant. The meal started out with everyone at the table sharing cheese covered garlic bread and a chopped salad. On this visit, two pizzas were ordered. One was a small stuffed pizza filled with green peppers and pepperoni. 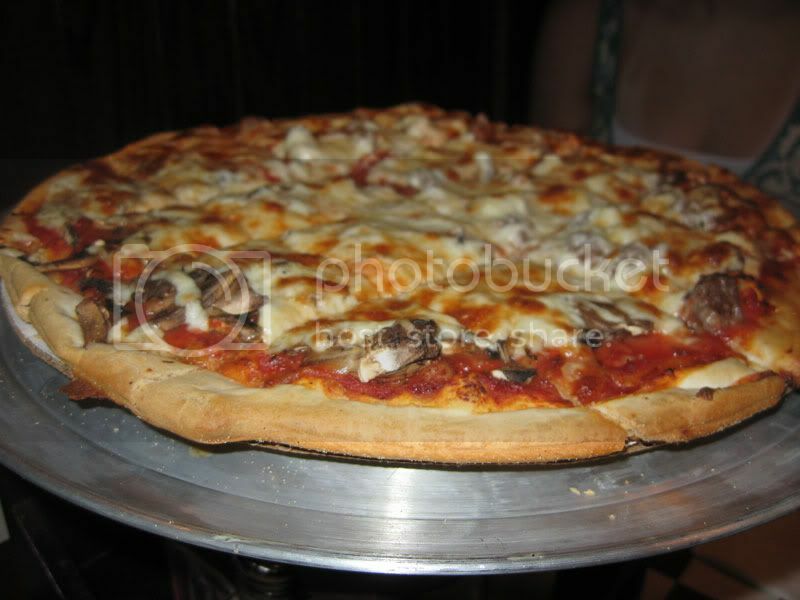 The other was a thin crust pizza topped with half mushrooms and half ground beef. I focused mainly on the stuffed pizza since that's what Giordano's is famous for. I liked the topping combination and noticed that their sauce was really tasty while eating this pie. The pizza was still really cheesy, but wasn't overflowing like on my last visit to their other location. Perhaps the pizza had a bit more time to set, or maybe they used less cheese and more toppings. As for the thin crust pizza, don't bother. I tried a slice of the pie and it reminded me of Donatos Pizza. 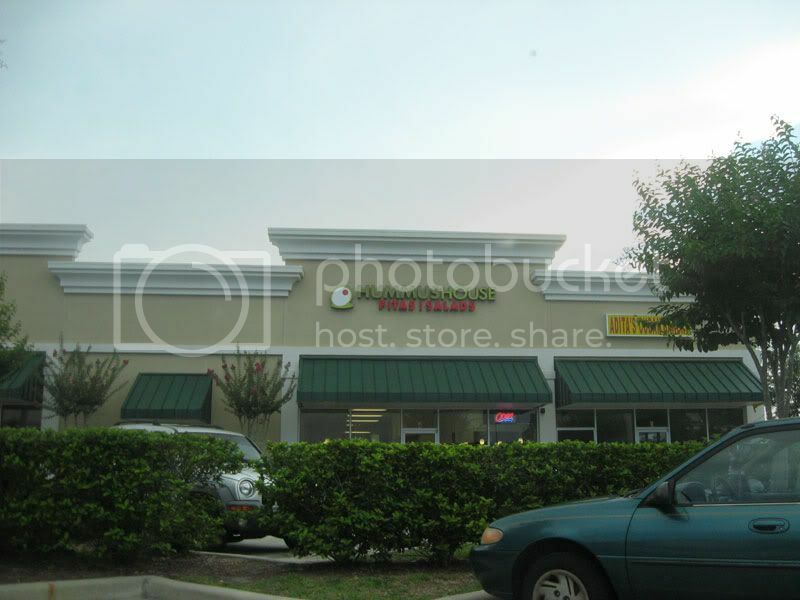 Donatos was the (former) McDonald's owned pizza chain that was very short lived in the Orlando area, and for a good reason too. Donatos' pizza was horrible. 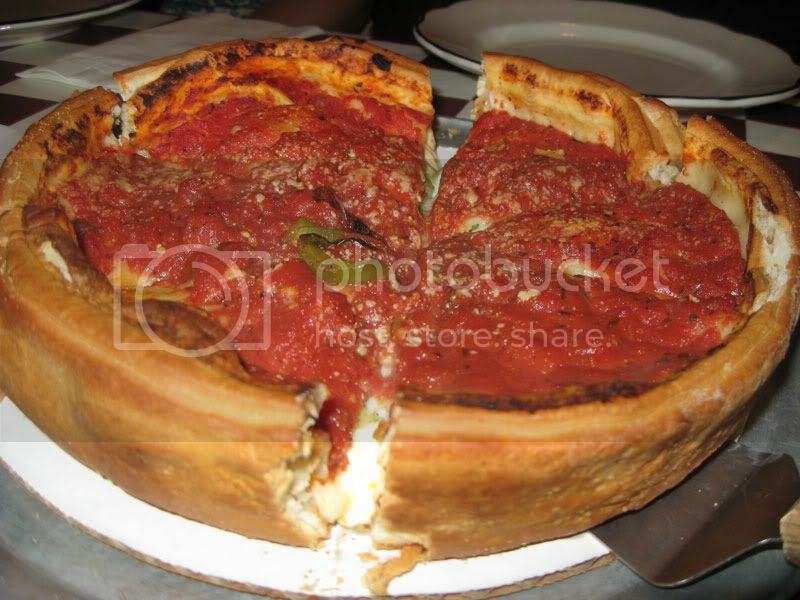 Definitely go for what Giordano's specializes in and get the Chicago Style stuffed pizzas. I really like Indian food. All of the spices and flavors mix together in a unique combination that makes Indian food really distinct, but it seems the majority of Indian restaurants in the United States all seem to have a similar menu to one another. 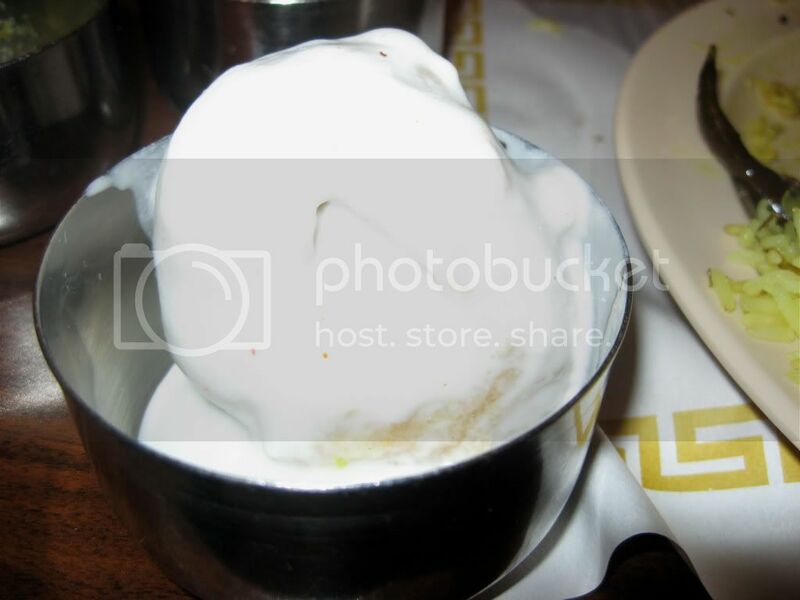 And then I tried Udipi Cafe in Longwood, FL. They serve vegetarian South Indian food (as opposed to the more common North Indian food?) which was really different from any other Indian food I've tasted (perhaps I don't know what to order). 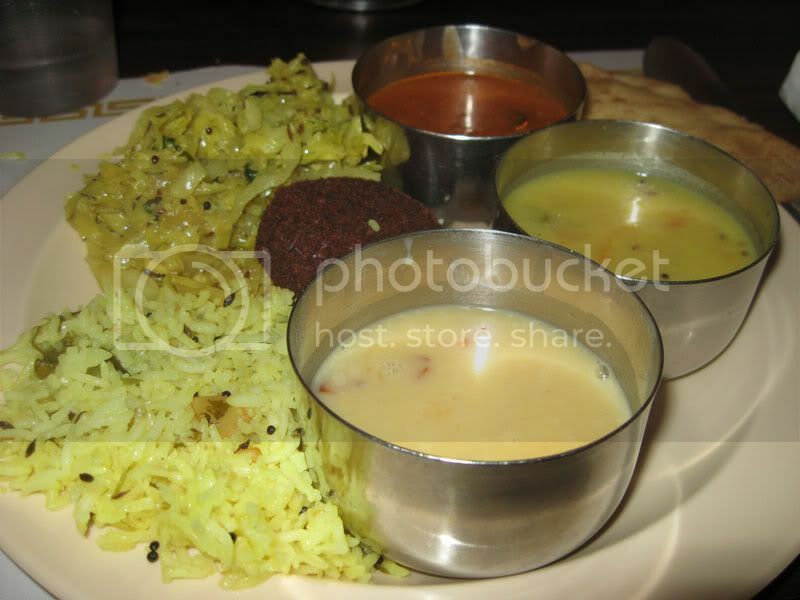 I visited Udipi Cafe for their $7.95 lunch buffet and was very pleased with the food. The meal starts with everyone being served a dosai. 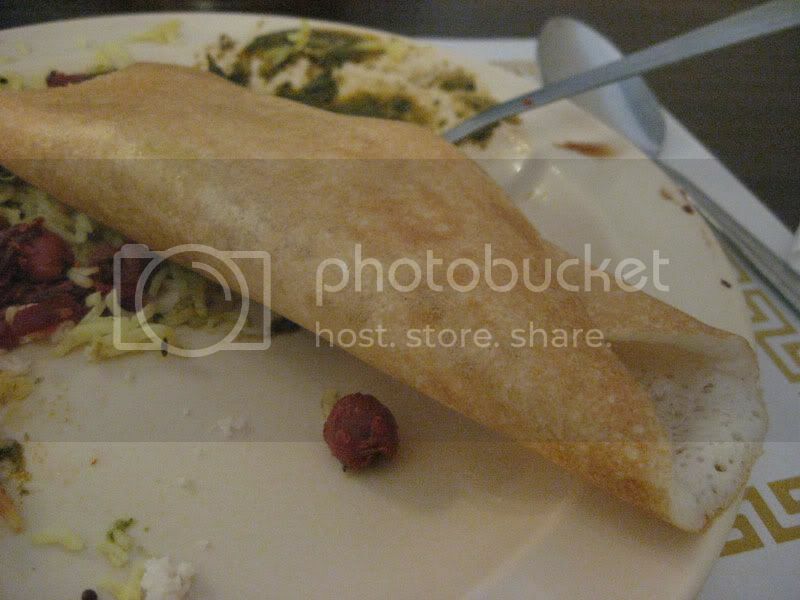 Dosai are sort of like crepes stuffed with a potato filling. From the buffet, I tried a bit of everything. 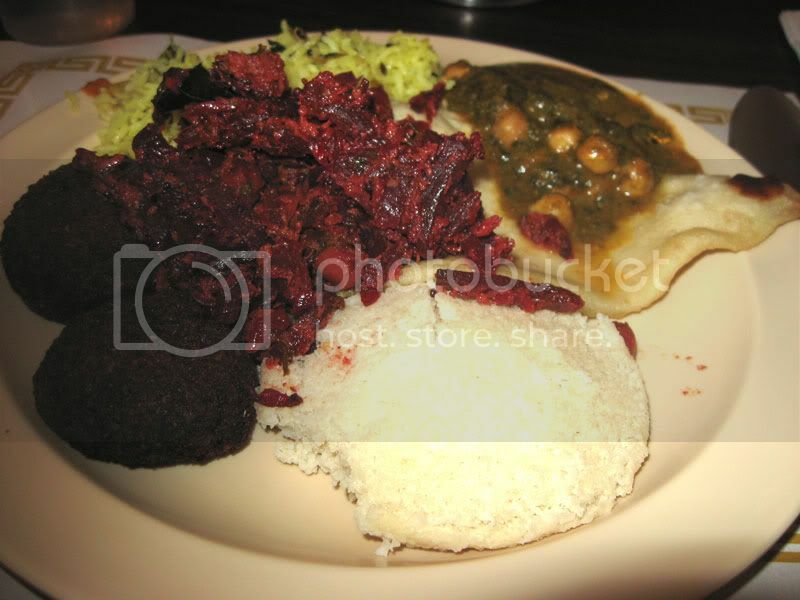 The white mound up front is a idli, a rice/lentil cake. It was bland alone, but good dipped in some of the other food items. On the left there are two deep fried falafel-like balls made from sweet potatoes. And then there are several other dishes on the plate (most served over rice or roti/naan) that I can not name, although they were all delicous. 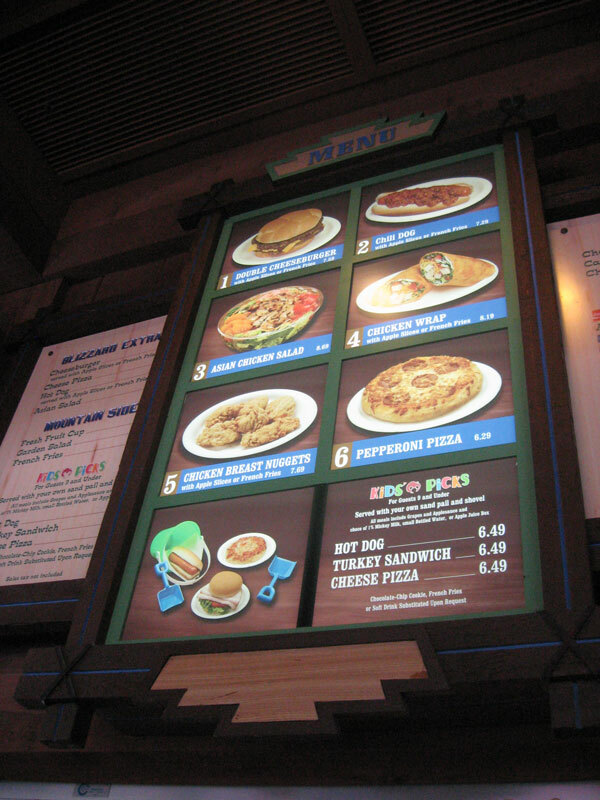 I went back to the buffet and sampled all of the soup-like dishes as well as some seconds on a few of my favorites. I was stuffed after my meal of vegetarian Indian food. When leaving Udipi Cafe, two people in a Uhaul truck pulled up and headed into the restaurant. 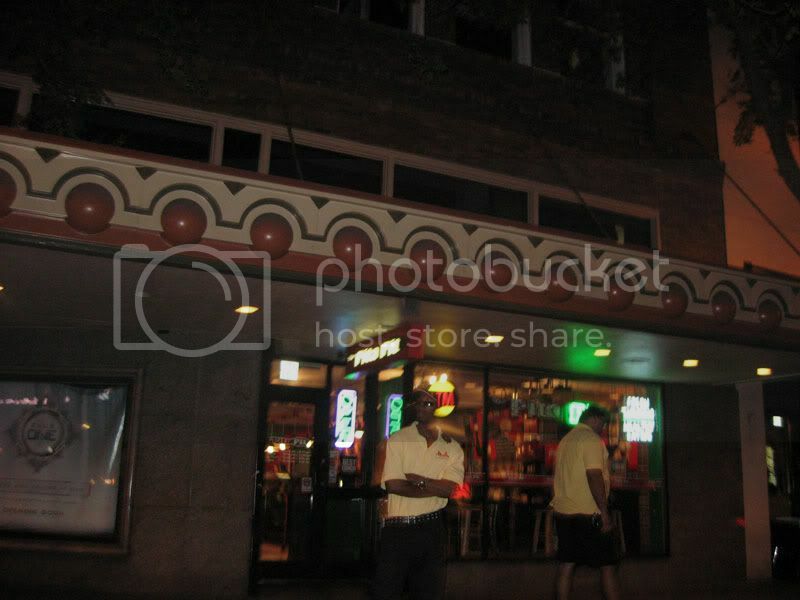 One of them pulled out a camera and took a picture of the front of the restaurant before entering. Was it a fellow food blogger? 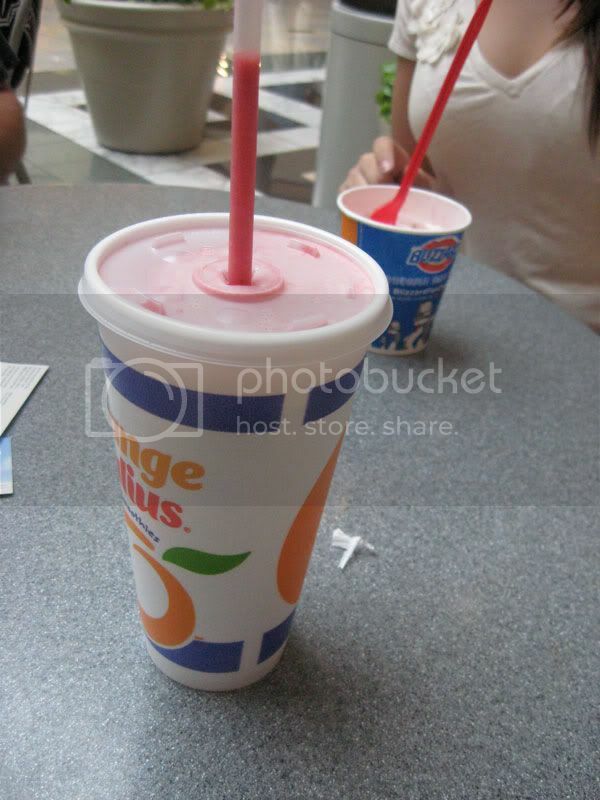 I didn't like my smoothie that I had on my last visit to Orange Julius on their free smoothie day. Someone from Orange Julius' corporate office apparently reads this blog, and they kindly offered to send me a gift certificate to try one of their premium fruit smoothies to see if I like it any better. 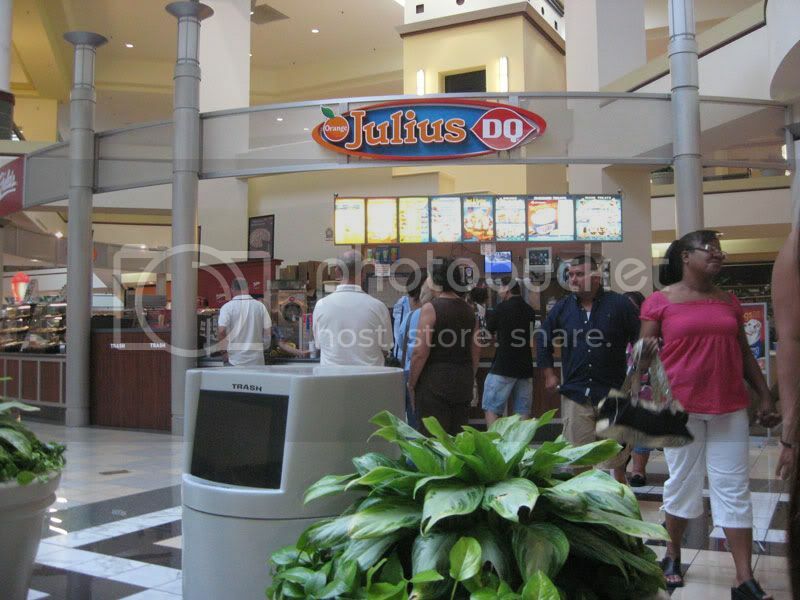 I went to the Orange Julius/DQ in the Altamonte Mall this time. I ordered the Raspberry Crush Premium Smoothie, and I liked it much more than my last free smoothie from Orange Julius. The raspberry crush tasted like actual fruit, like it should, rather than artificial sweetners. I'd gladly get this smoothie again! Thank you Orange Julius for two free smoothies! I bought dinner one evening from the Hummus House on University Boulevard in Orlando. 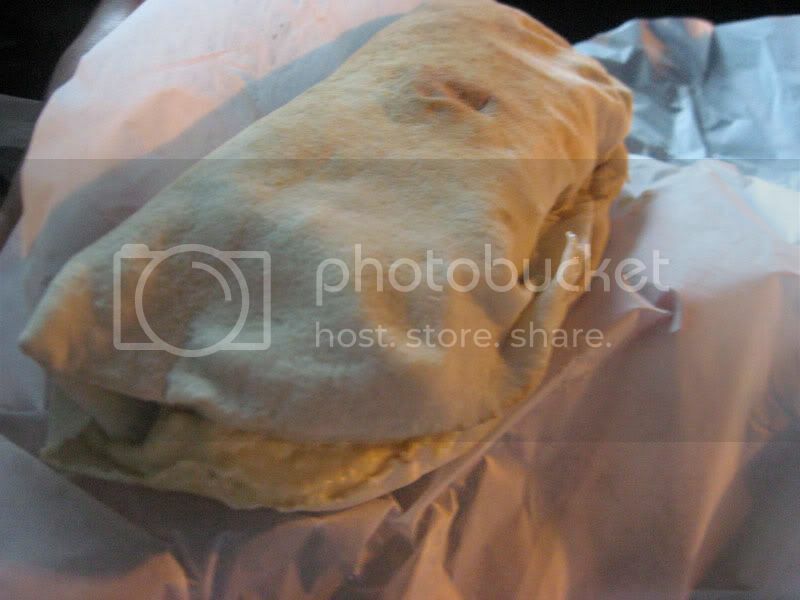 I had a falafel pita, and while it tasted alright, it was hard to ignore how stingy they were with the fillings in the pita. They used three or four tiny falafel balls that were too small and too few to properly fill the sandwich. I went several bites in a row without hitting any falafel. Hummus House wasn't any more generous with any of the other minor fillings (vegetables) either. The only redeeming factor was the hummus. Possibly because of their name, Hummus House put lots and lots of hummus on the pita. I really have no complaints about the taste, but why go to Hummus House when there are so many other nearby restaurants that serve similar food and aren't stingy with the portions? Across the street, there is Falafel Cafe where you get a properly stuffed pita with and a cup of soup for basically the same price. There is also a Pita Pit across the street, and although I have not tried their falafel, I have always been pleased with their other pitas. Even the Mrs. Fields Cookies in the UCF Student Union has really good falafel! 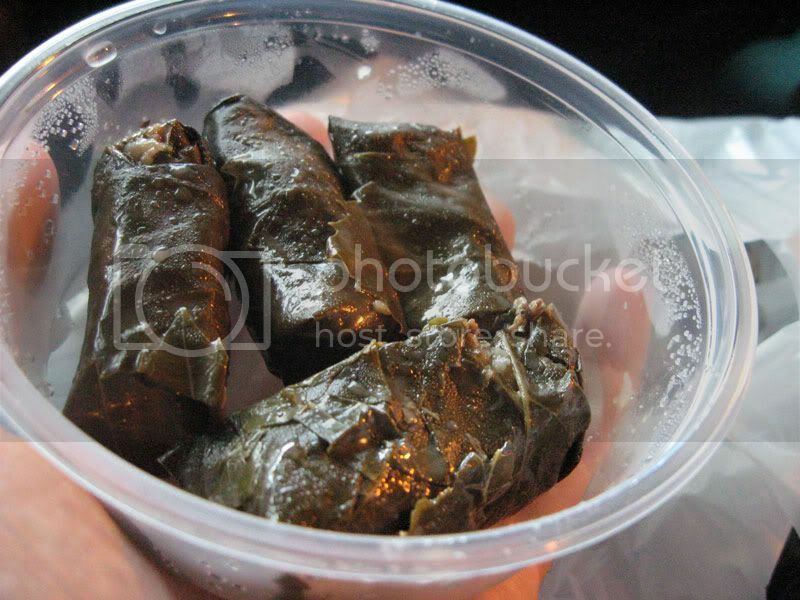 I also ordered some stuffed grape leaves. Unlike the falafel pita, I was completely 100% happy with these! 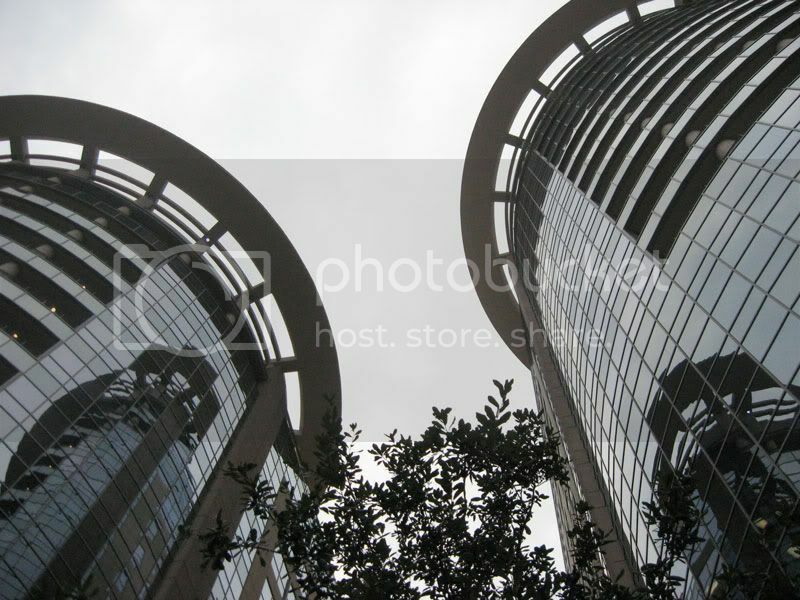 I went to a movie at the new theater in the Plaza in Downtown Orlando. Although the theater serves actual food rather than the normal popcorn and candy, I passed on eating here. Instead, I went to Bento Cafe on the ground floor of the building. I ordered the Basil Shrimp Bento Box. The shrimp were really good with plenty of basil. The rest of the box was filled with green beans, lo mein, salad, rice, and a butterfly cookie. Although the sides tasted good enough, I thought they could have been improved. There wasn't really enough of the sides to fill the box, so there was lots of empty plate below the food. Most bento boxes that I've had come with a California Roll too. 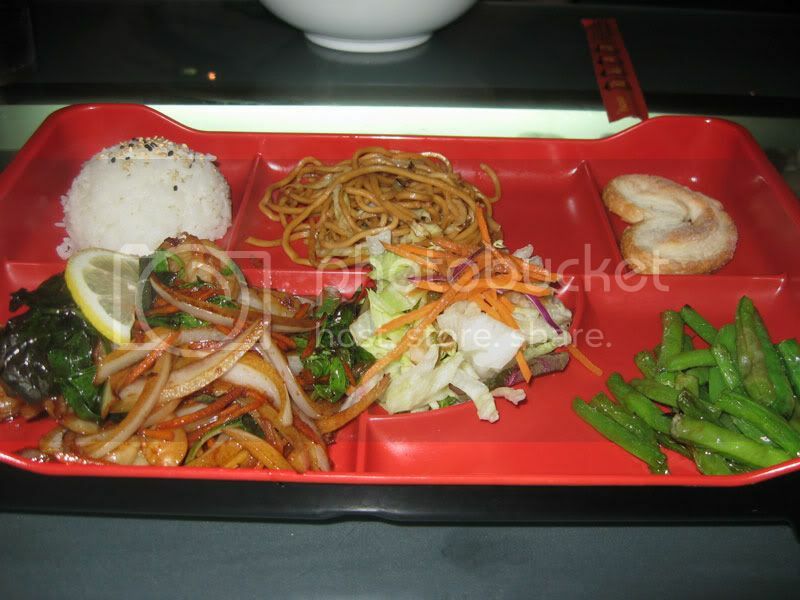 Regardless, I'd definitely return to Bento Cafe! I ate at Cafe Paisano in Longwood, FL. I ate here a few times before when they first opened and always ordered pizza. I was never too impressed with the pizza, so after a few visits I found other Italian restaurants to get my pizza from. Recently, I decided to return to Cafe Paisano and ordered a dinner on this visit. After reading over the menu, I settled on the Eggplant Rollatini, and started the meal with a side salad and garlic rolls. The main dish soon came out and consisted of breaded eggplant rolled around ricotta cheese and plenty of fresh spinach, then topped with melted cheese and tomato sauce. Also served with the meal (but not listed on the menu) was a side of spaghetti in tomato sauce. I don't like tomato sauce on pasta all that much, so I could have done without this part of the meal. When I initially ordered the eggplant, I didn't quite know what to expect, but I really liked it. 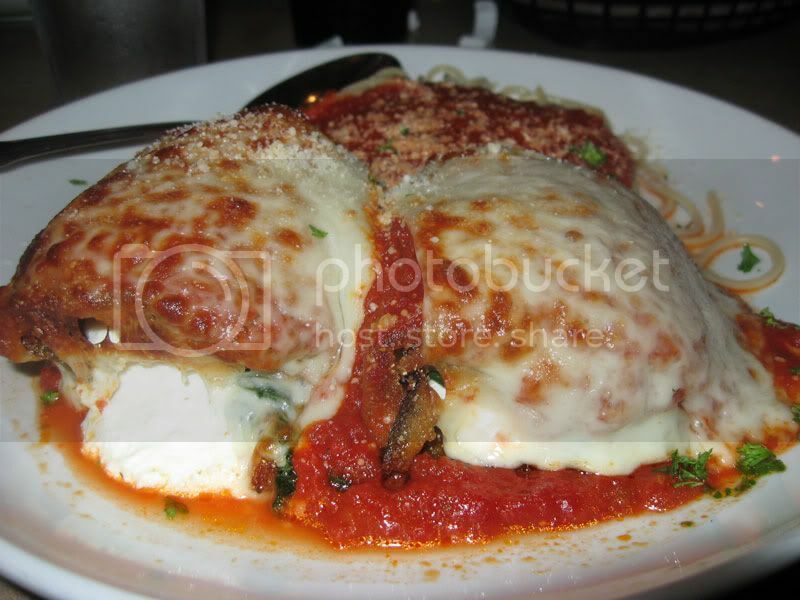 I would gladly get the eggplant rollatini again! The next table was eating a pizza which looked better than I remembered it being. I think I need to return here again to give Cafe Paisano's pizza another try. I was doing some shopping for a birthday present in the Waterford Lakes Town Center outdoor mall and started getting hungry. After wandering from store to store in search of a giant Pez dispenser in the horribly designed mall, I stopped by the Pine Garden Chinese Restaurant. I ordered the Kung Pao Chicken lunch combo, which included wonton soup, rice, and the chicken. I wasn't too happy with the food. 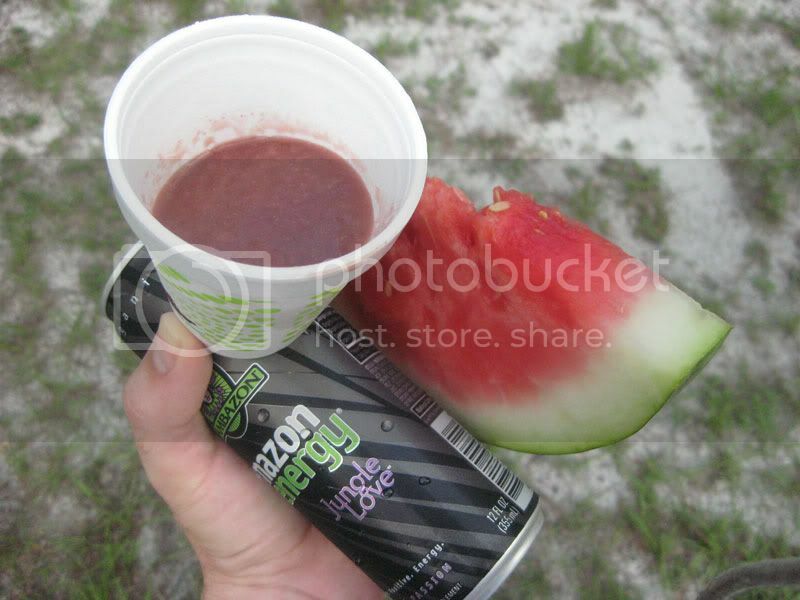 Everything was pretty much tasteless. The soup tasted like oily water with wontons floating in it. 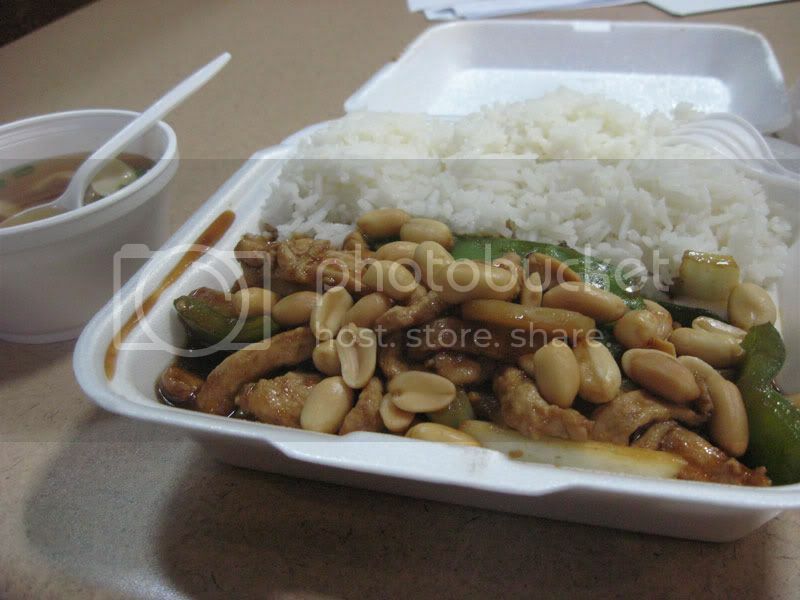 Kung Pao chicken is normally somewhat spicy, but Pine Garden's chicken was very bland. The price was good, but I don't think I would return to Pine Garden any time soon. 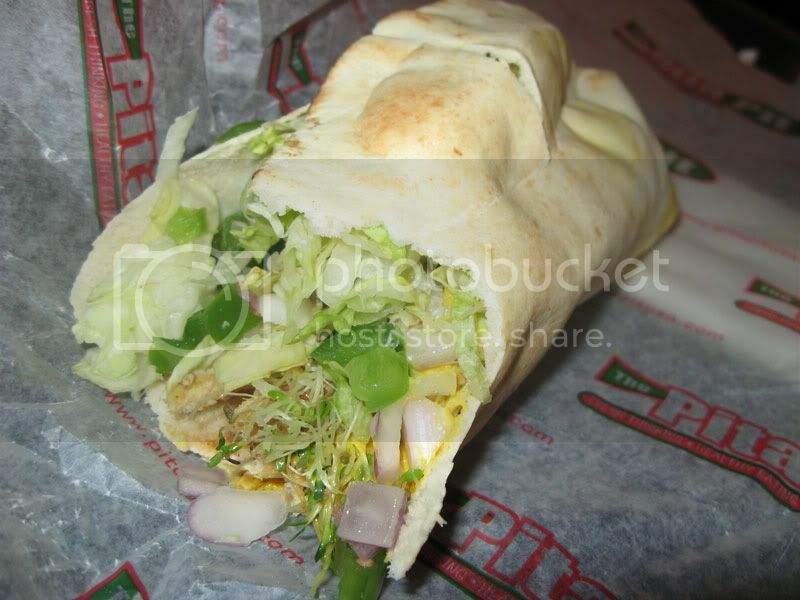 I ate at the Pita Pit on Orange Ave in Downtown Orlando. I ordered a chicken souvlaki pita and had no complaints except that the setup of available toppings for the pita was a little confusing. I didn't realize that some sauces and cheeses were available until halfway through my meal. Eating at The Pita Pit was also a good people watching experience. All of the restaurant employees showcased all sorts of piercings, tattoos, and dreadlocks. Over in one corner of the restaurant, there was a group of vegans eating their meat/dairy free pitas. Every so often, the vegans would go bother the tattooed employees with some vegan food related question. About halfway through my meal, a man entered the restaurant who I paid no attention too until he sat down and started singing what sounded like a Gregorian Chant. The chanting made me think of Catholic churches, and it then clicked that this man looked a whole lot like Silas from the Da Vinci Code. His whole meal, he looked angry and kept on sneering at the group of vegans. When going home after eating, I noticed that he had returned to his post on a street corner holding a sign about how the world is ending and we are all going to hell. Definitely an interesting crowd in the Pita Pit. 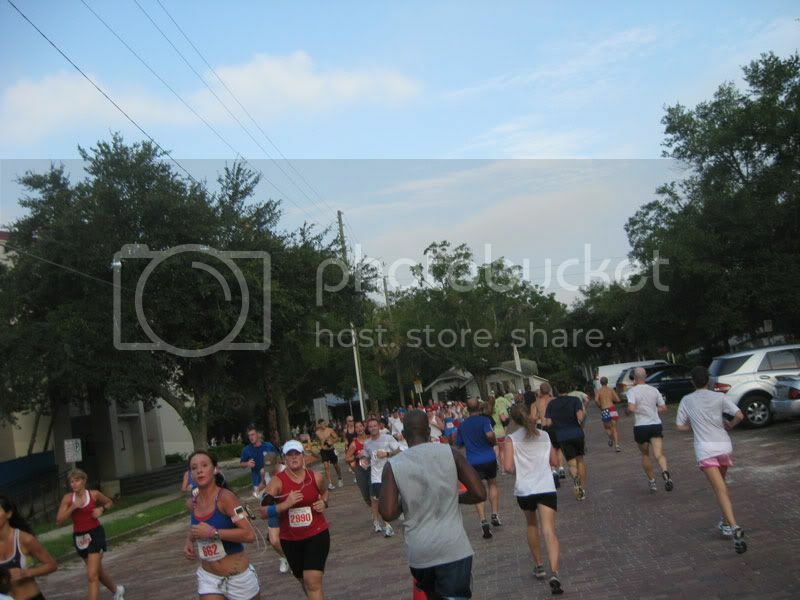 Last weekend (July 4), I ran in another 5K race in Winter Park. 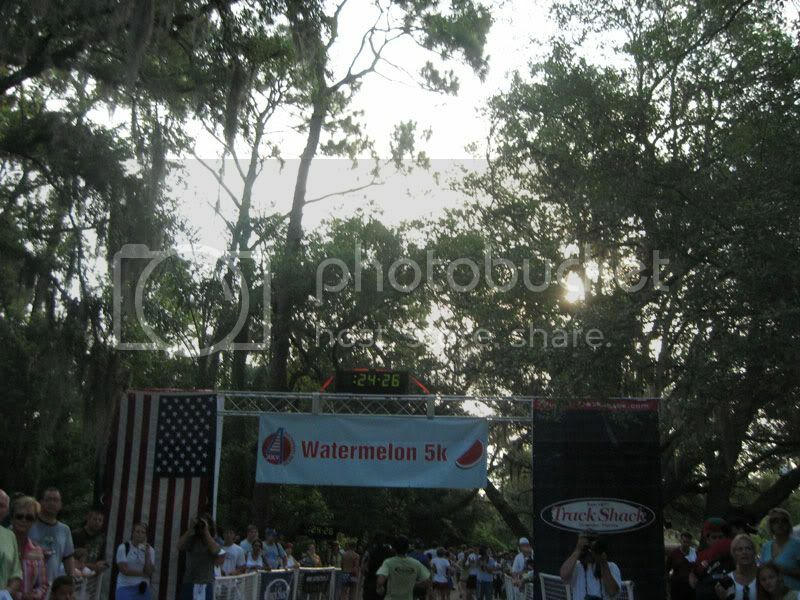 This one was called the Watermelon 5K. 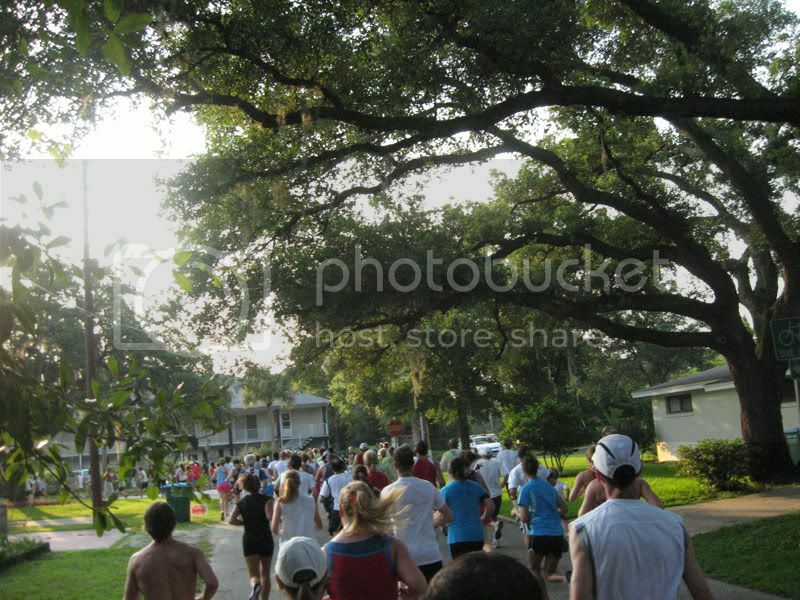 It started in Mead Gardens, then left the park and went through some of the surrounding neighborhoods. 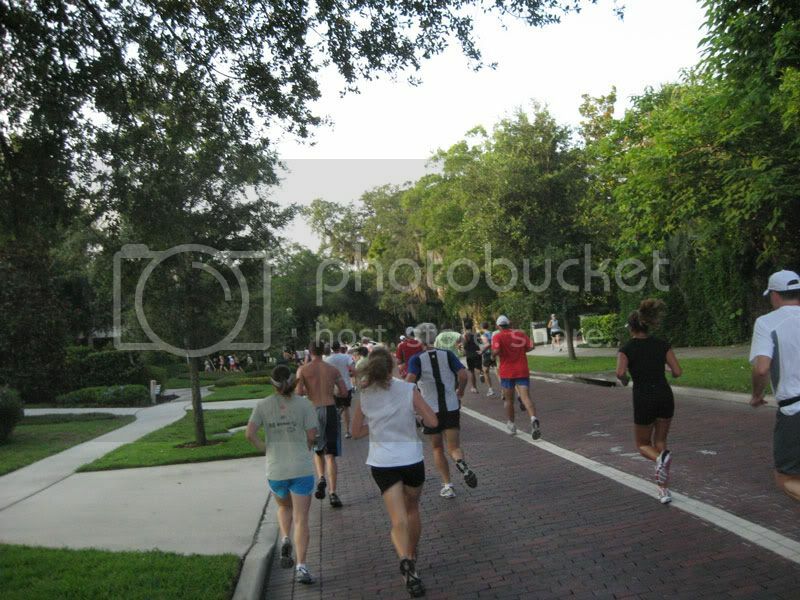 The race passed very close to where the route of the last 5K went, and then eventually returned to Mead Gardens and ended. Since I paid money to run in this race, I made sure I ran the 3.1 miles somewhat faster than normal. Paying money to run is silly in my opinion, but I keep on getting talked into running in these races anyway. I normally can run 3.1 miles in about 25 or 26 minutes, but today I ended up getting about 24:30. 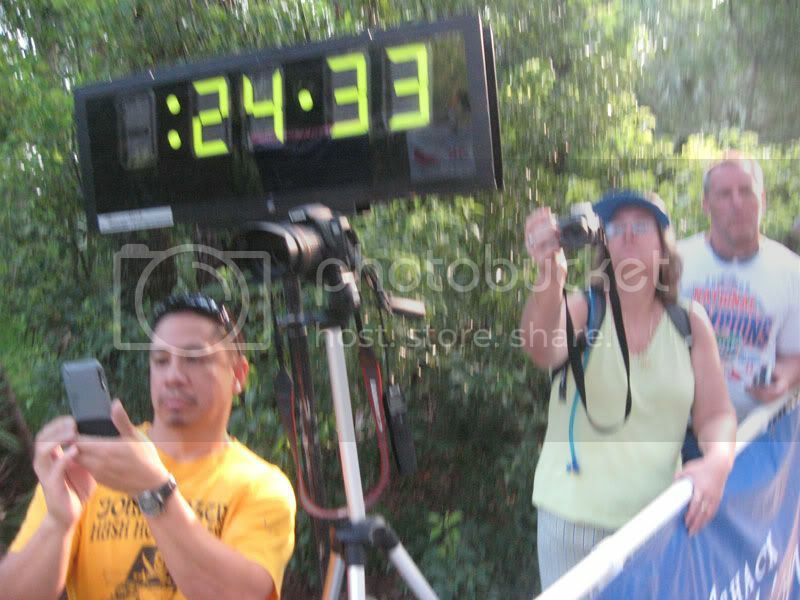 There was no official time, so I am interpolating the time from these two pictures I took of the finish line, just before and after I crossed. And the food came after the race was over! 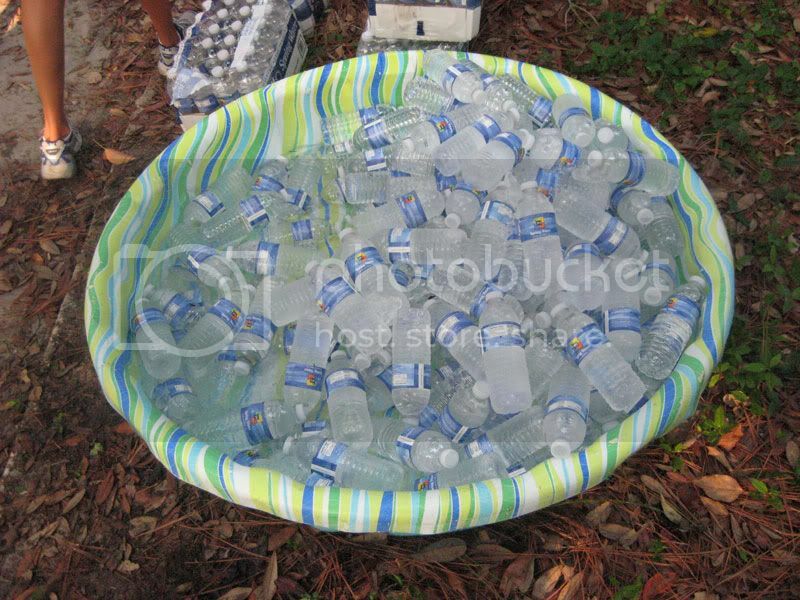 The first thing I grabbed was a bottle of Whole Foods brand water out of this kiddie pool. 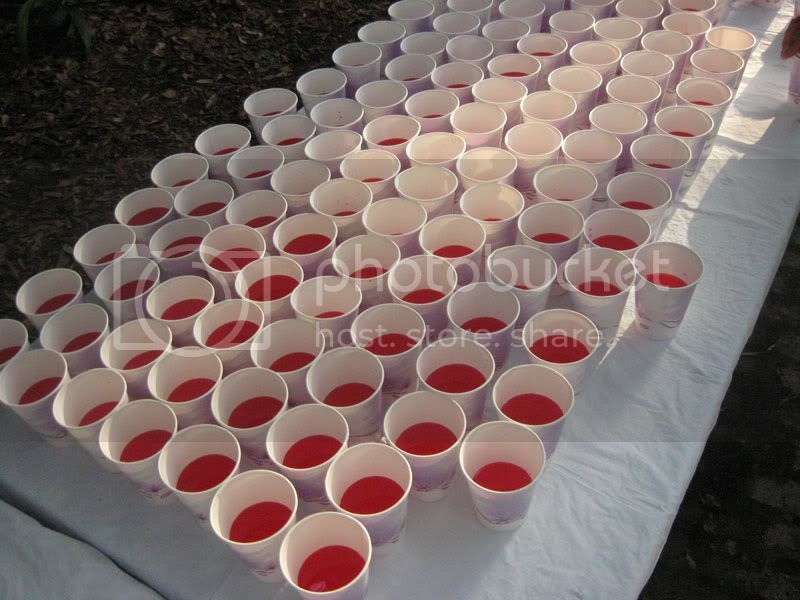 Then I drank a cup or two of this mystery colored drink. I'm assuming it was some sort of powdered Gatorade type drink that was mixed in the Crystal Water bottles. 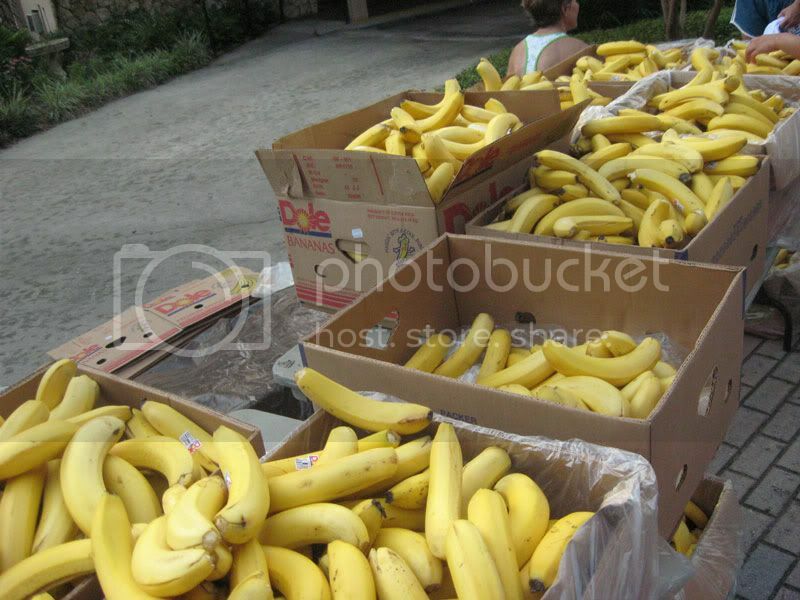 Bananas came after the drinks. 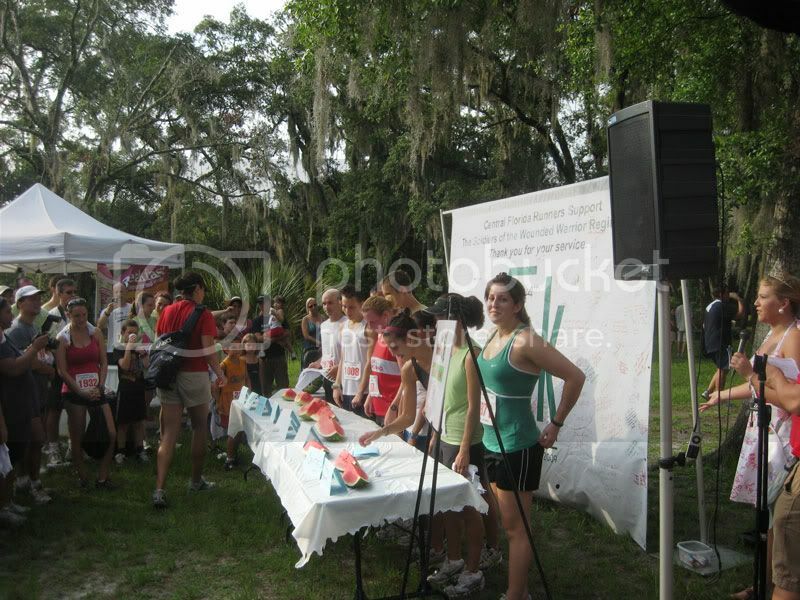 Since this was the Watermelon 5K, watermelon slices were also given out. 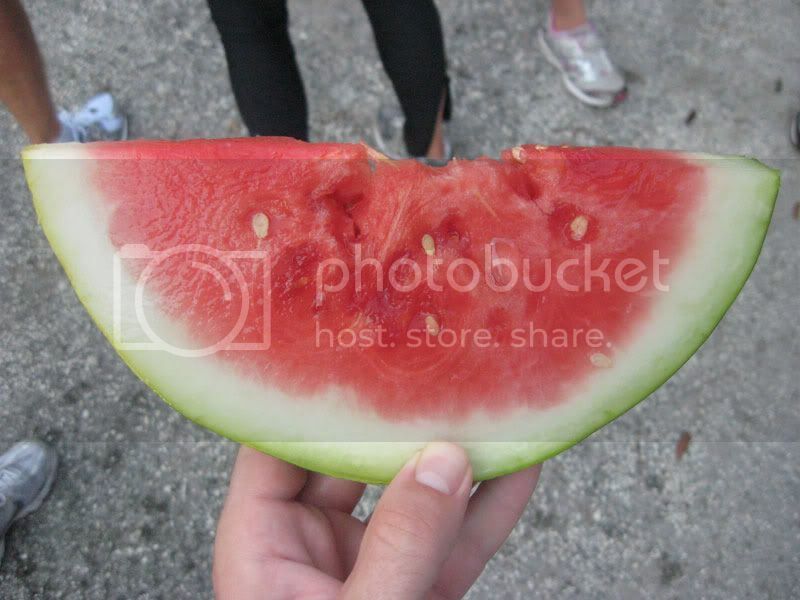 I normally don't like watermelon all that much, but after running it's normally sweet juice tasted really bitter to me and I ended up only finishing half of my slice. 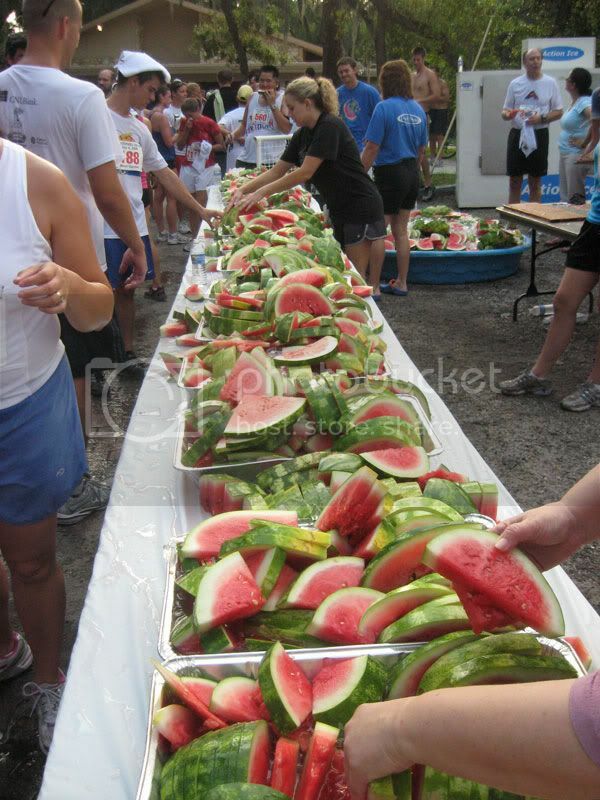 They put on a watermelon eating contest to compete with Nathan's hot dog eating contest. Grand prize was a watermelon, hat, and a watermelon shaped wine glass. 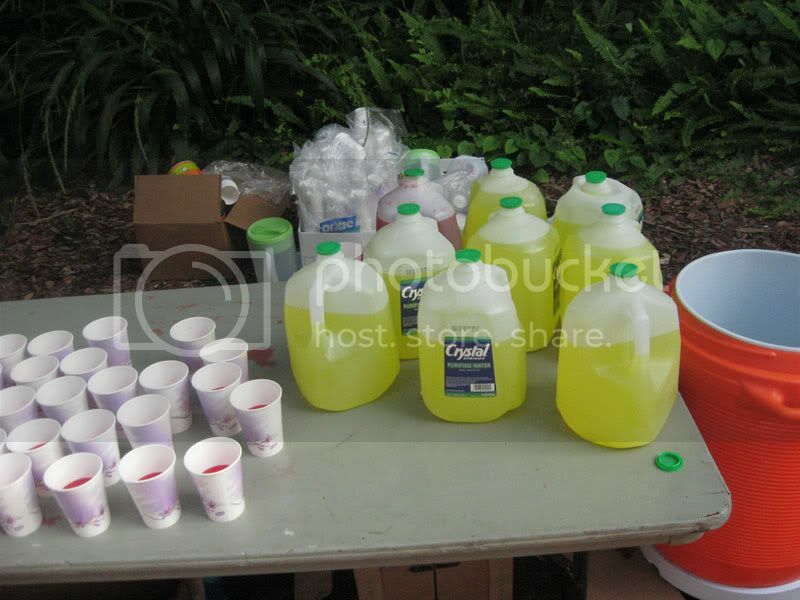 Making my way around to all of the vendors that set up tents giving out free samples and trying to sell their products to the runners, I ended up with a smoothie sample and an acai berry energy drink from Planet Smoothie, a bag of dog food, a Track Shack towel, and a backpack from a lawyer. 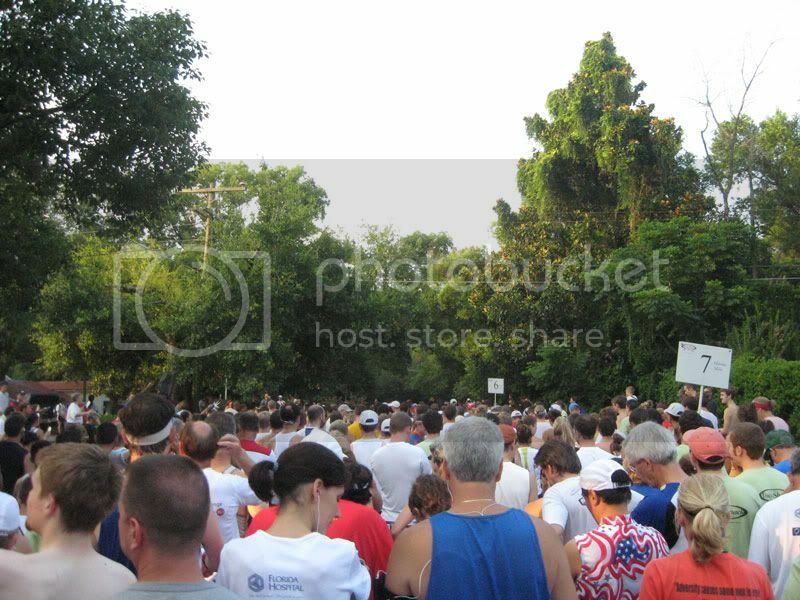 Several years ago I ran in a few of these 5K races, and bagels were given out after each race. This is the second 5K I have run in recently, and there are no bagels. I don't know what the reason behind this is, but I know that after I go running, I always crave some carbs, so I find the lack of bagels disappointing. 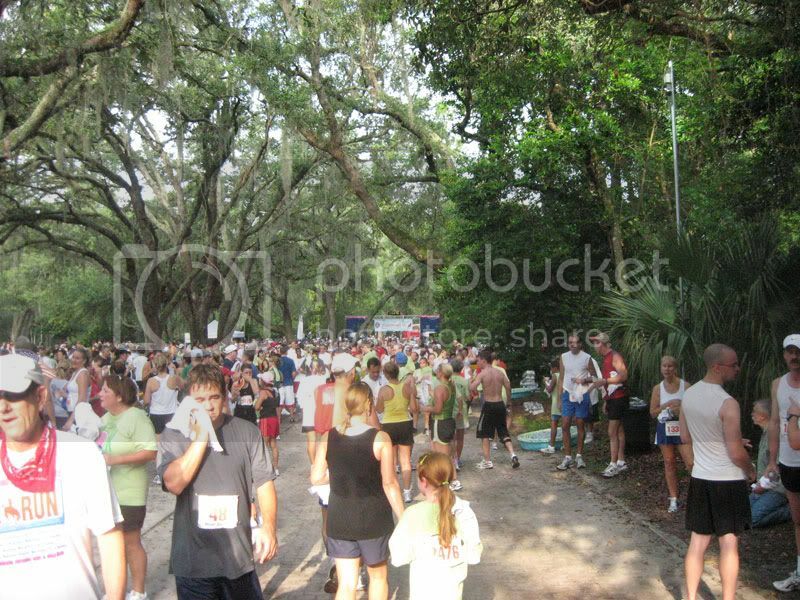 There were big crowds of sweaty people in the area surrounding the finish line of the race. So I decided to take a walk through the emptier areas of Mead Gardens. 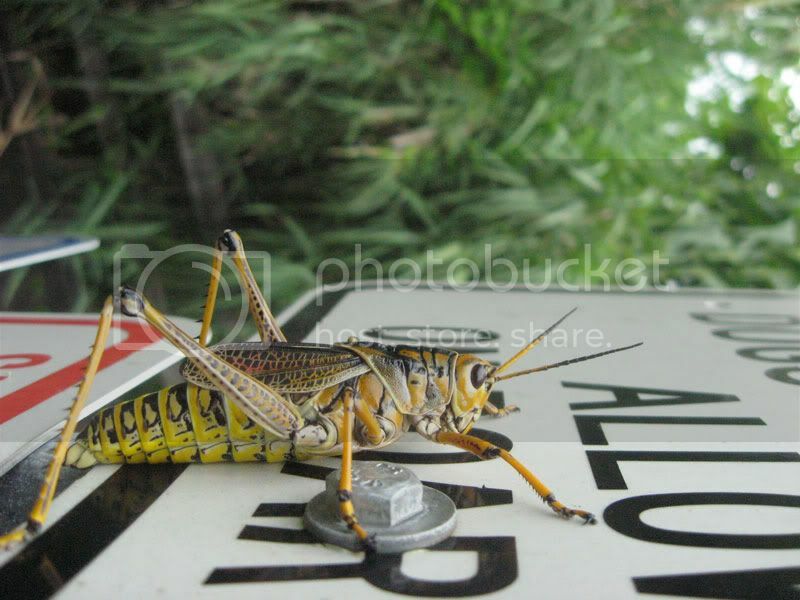 On a sign, I came across this really big Lubber Grasshopper. I hear they are good eating, especially when chocolate covered! I have no plans at the moment to run in another 5K race when I can run at home for free, but who knows. I may be talked into doing another one, but looking at the upcoming races in Orlando, I think my choice would be to do a 10K. This 10K in particular. 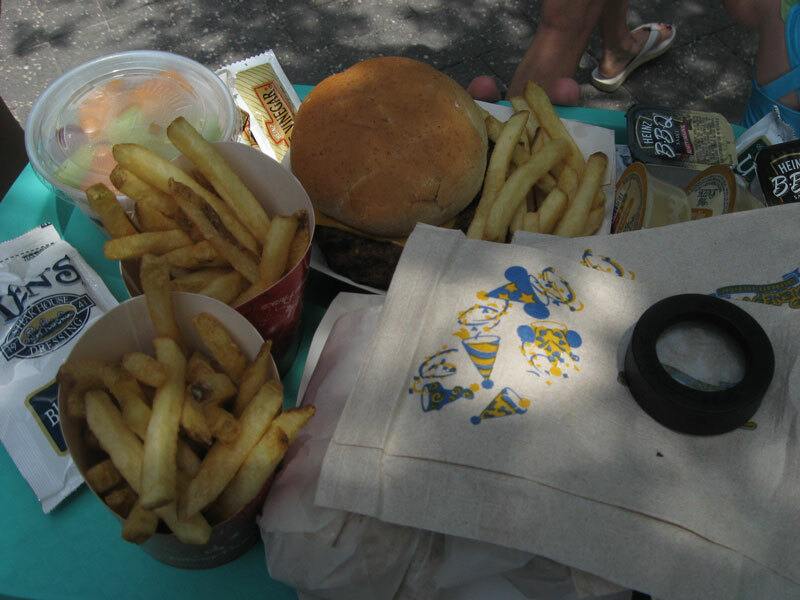 Free Epcot Food & Wine Festival samples after the race! 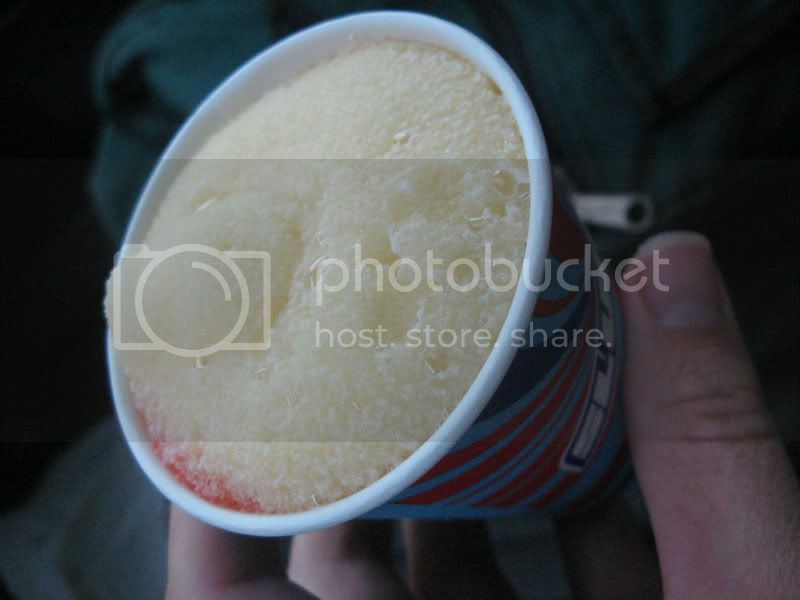 Today is 7/11, meaning it is free Slurpee day at all 7 Eleven stores. 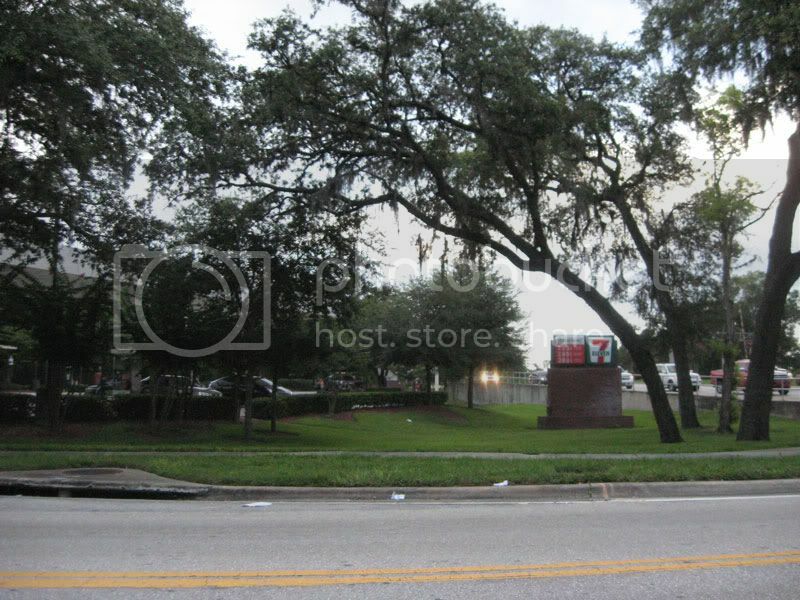 I stopped by the 7 Eleven at the corner of Lake Mary Boulevard and Country Club Road and enjoyed my free Slurpee. I mixed all of the fruity flavors together and avoided the Crystal Light and soda flavors. I would not buy a Slurpee normally, but for free you have to sample the flavors! While on the topic of frozen beverages, I was at the Whole Foods Supermarket in Winter Park earlier in the day. In their deli section where they have all of their prepared foods, I noticed this machine. It looked like a normal slushy machine to me, until I noticed the flavor. 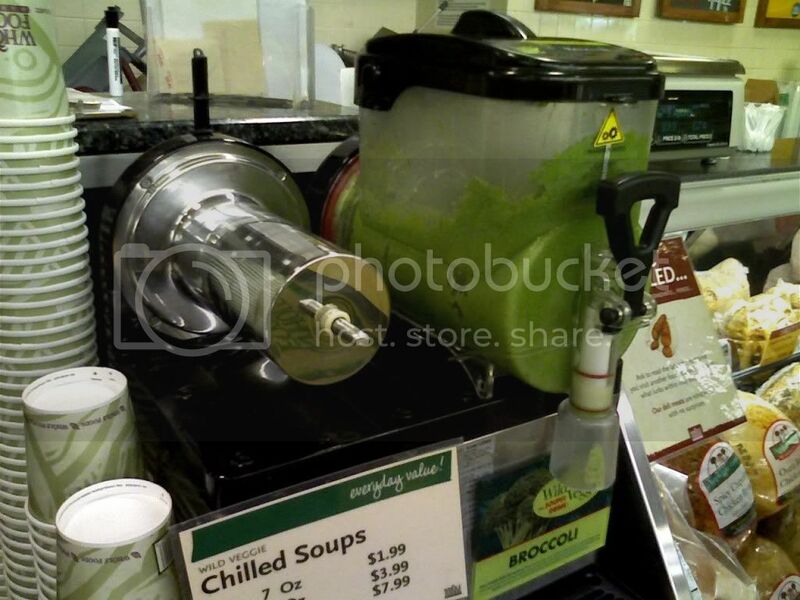 The sign called it a chilled soup, but I disagree. That's a broccoli flavored slushy. Try and find that at a 7 Eleven! I don't like water parks all that much. For the most part, they consist of waiting far too long on narrow, shadeless staircases, all leading up to a ride experience that provides an adrenaline rush lasting only a few seconds. And in regards to the content of this blog, I've found that water parks also have horrible food in most cases. With that said, I ended up going along to Blizzard Beach at Walt Disney World for someone's birthday. 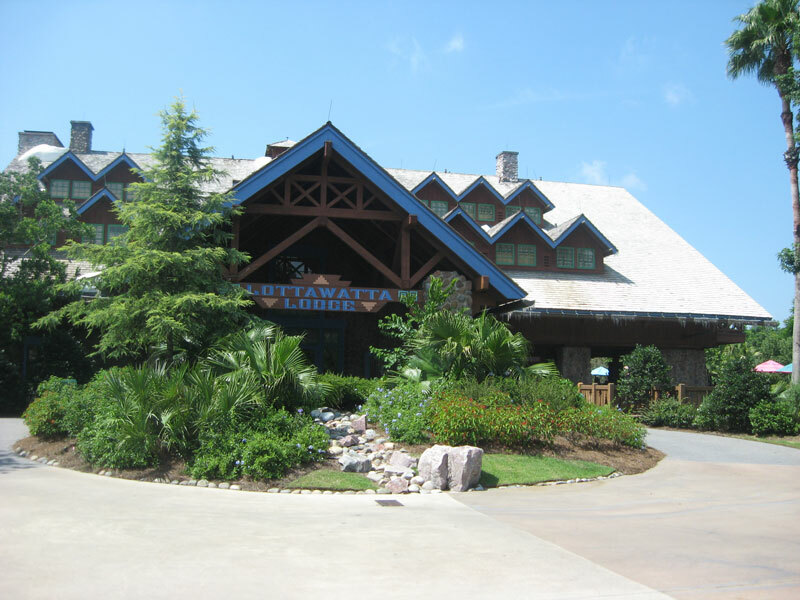 Once at the park, we went around the park’s lazy river a few times and rode several of the slides on Blizzard Beach’s purple and red slopes. All of the slides I went on were fun and most had a pretty short wait. Soon, everyone started getting hungry so we ate at the biggest restaurant in Blizzard Beach called the Lottawatta Lodge. I had a Chicken wrap with French fries. 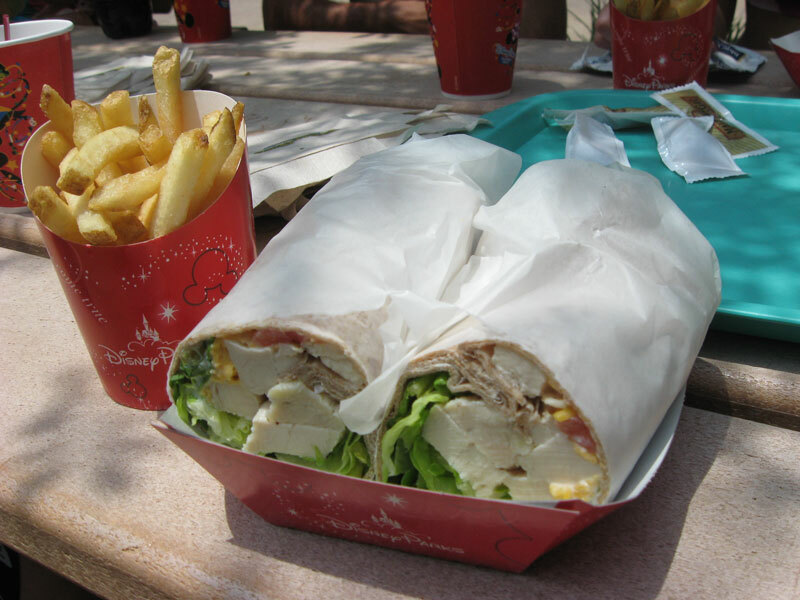 Disney food is generally good, and I liked this wrap. It wasn't the greatest thing in the world, but when compared to the much worse foods that I’ve had at water parks in the past, it wasn't that bad. 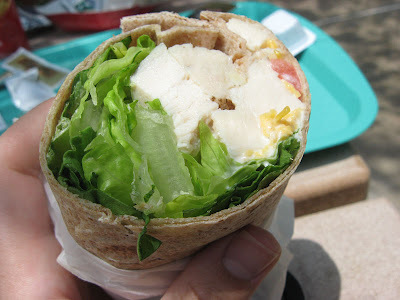 It was filled with grilled chicken, cheese, lettuce, and tomato. The fries were good, but I made them even better by doing the British thing and poured several packages of malt vinegar all over them. Burgers and fruit salads were also purchased here, none of which I tried.